Ursula attended a week long Clavinova Workshop in Oklahoma University, where teachers learned to implement the latest technology of the Clavinova 509 with their students. 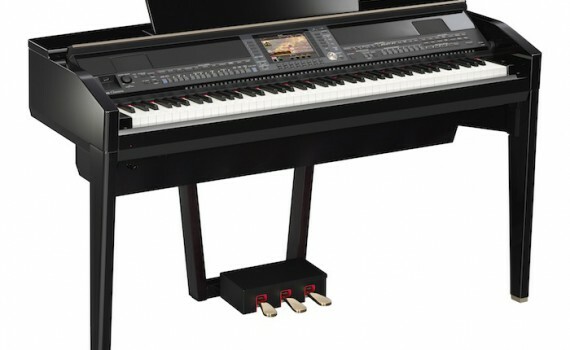 The Clavinova 509 is one of the latest and most high tech teaching friendly keyboards in the world. Students who learn on the Clavinova, in addition to traditional teaching, are more likely to succeed in piano because they are motivated by the quality of sound they can produce by having just a few short lessons. The students sound like they have been playing for years! Not only does the instrument make creating and performing music more fun and enjoyable, it reinforces important musical concepts. Students who learn with the Clavinova are more apt to be able to play with a steady beat, develop better listening skills, and understand instrumentation through orchestra voicing, sequencing and layering of sounds. Play with rhythmical orchestrated background accompaniments. Orchestrate and create their pieces by created their own musical background using voicing, layering, and rhythmical accompaniments. Learn how to transpose, follow a lead sheet, stylization, and apply midi software and create wave files. Be able to perform in Ursula’s Clavinova Festival. Where students feature their own Clavinova digital piano creations. Be able to perform in Ursula’s Clavinova Ensemble Classes. This is where 4 to 8 students perform collaborating their pieces together with different orchestration assigned to each student. Students are motivated to practice because they want to be able to “stay up” with the group as the ensemble class progresses. Students are excited about these classes because they are able to socialize and learn with their peer group.